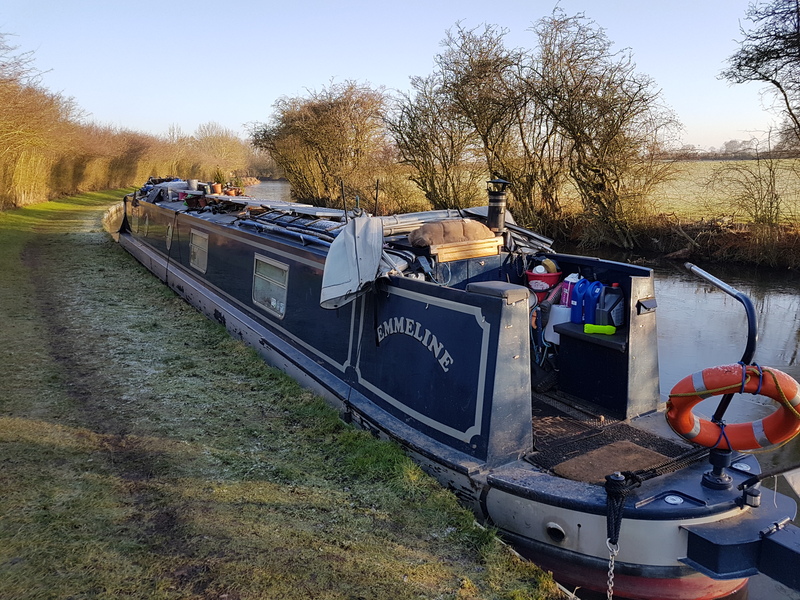 I had my instructions for this morning.. Get some bits in from the shop at the bottom lock before we leave.. as there was no eggs or ham at the shop yesterday.. So.. managed to get a dozen eggs, and a pack of ham from the shop (admittedly, the ham was from the tea room supplies – but they were happy to sell it on as they can only have the pack open so long) – but no dog or cat biscuits.. so they will have to go without.. for now..
And after the grey of yesterday.. what a gloriously sunny day.. still cold.. but sunny! 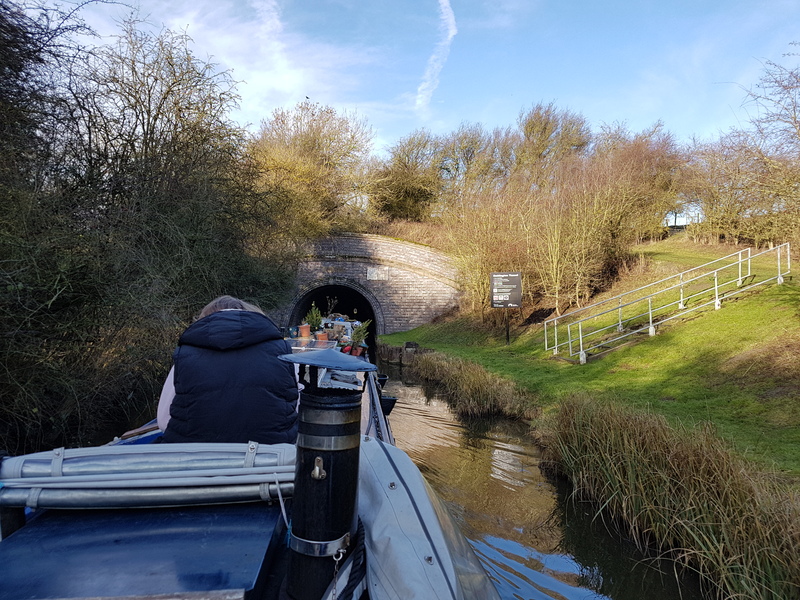 The canal wound its way through some rather sharp corners, and onto the entrance to Saddington Tunnel.. 800 meters this one.. two way traffic, but no one coming the other way.. no one moving at all today – other than us! And.. yes.. my little elf came up so she could be on the roof in the tunnel.. getting dripped on..
Its just gone 1.. and I have meetings.. so its time to moor up and get settled.. it will be another late one today.. and yes.. these late nights working, and early starts to move the boat are starting to get tiring.. we will be staying put for a while once were within reach of Leicester.. so needs must! 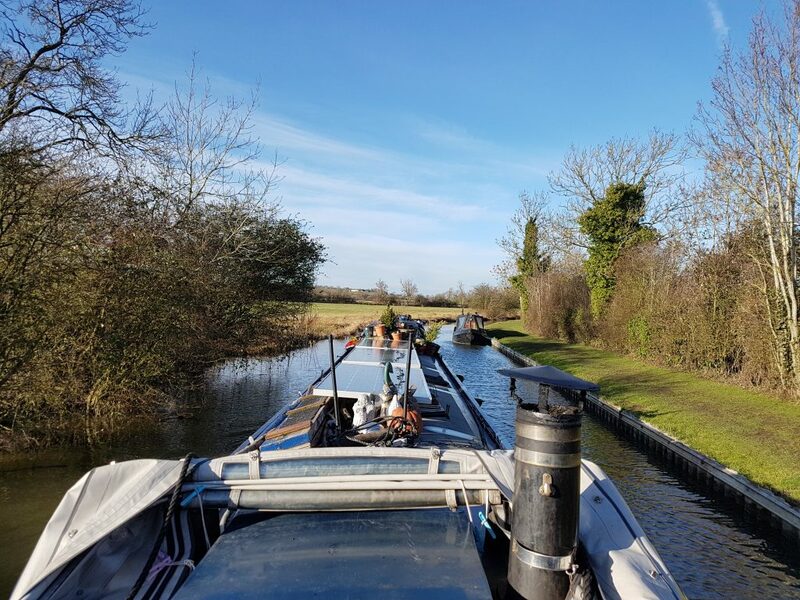 Pulled in at the mooring just past Bridge #74 (Ross Bridge) as this is the last spot before the locks start.. and today.. we don’t want to do any locks.. tomorrow.. but not today! And.. rain in the afternoon.. turning to heavy snow.. bugger.. lets see what its like tomorrow.. may not be moving far tomorrow if its that cold.. locks and snow don’t mix.. that’s how accidents happen!